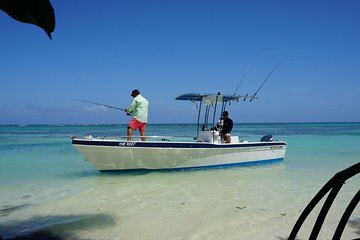 Explore the shallow reef off the coast of Punta Cana with your own private group during an inshore fishing charter, and swim and snorkel in between catches. This fishing trip is ideal for all experience levels—including beginners—and your crew can suggest stops and offer as much assistance as you need. Plus, choose from morning or afternoon departures to best suit your needs.